What is your general background or current interest (marketing, entertainment, non-profit, etc.)? What would you like to get from the group (learn, connect with creatives, find resources, etc.)? Hi, Alex LeMay from The Shadow Gang. 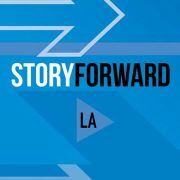 Welcome to StoryForward, a group dedicated to exploring the future of storytelling and entertainment. We host meetups, workshops, and other events celebrating the leaders, the ideas and the techniques of storytelling in the 21st Century. In addition to our meetups we also provide a StoryForward Podcast, hosted by Emmy Award winning Experience Designer, Steve Peters. His work with Fourth Wall Studios and 42 Entertainment provide a great intellectual framework for guests from all over the globe from Felicia Day to Thomas Dolby. Please check out the StoryForward Podcast. 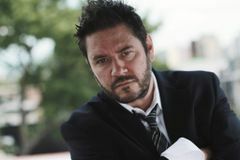 StoryForward is led by artist, creative director and strategist, Hal Hefner, who has worked on all sorts of experimental stories with Fourth Wall Studios, Ignition and Catmonkey studios such as X-Men Days of Future Past, Duff Beer, The Defiant Few (Defiance TV show on SyFy), Gates, The Serpent Seed and many more projects from various angles. Originally formed as TRANSMEDIA LOS ANGELES in December 2009, this group is committed to the education, innovation and incubation of new and exploratory ways to tell stories. We want to connect people, curate experiences, incubate projects, and share our discoveries with others around the world.